DISEASES limit the production of vegetable and fruit crops. Some are easy to identify but others difficult. Effective disease management is essential for high quality production. Its control includes crop rotation; planting resistant and certified disease-free seeds or seedlings; timely sowing or planting in well-prepared, fertile soil; controlling weeds and insect pests; following a fungicide spray programme and practising clean plough down after harvest. Incorrect identification of disease may lead to wrong management practices, wastage of time and expenses resulting in crop failure. Insecticides do not control diseases caused by bacteria, and viruses are not controlled with most fungicides. Similarly, a particular fungicide may control only one fungal disease but not another. The growers should learn to recognize more common diseases by their symptoms and should have sufficient knowledge to select appropriate management practices for in a particular situation. Wind, water or rain, and equipment can spread the disease causing organisms (pathogen) viz. fungus, bacterium, nematode or virus, once introduced in a field. The grower or field worker, the insect pests, birds, and animals help the disease-causing organism to spread. Even the higher pathogens may become carrier for another disease. For example, viruses are transmitted through fungi and nematodes. The dry and wet, as well as hot and cool climates increase the development and spread of the disease. The disease inciting agents perpetuates (survive from season to season) through the seed given from diseased crop, weed plants, infested fields and all plant debris. The Integrated Pest Management (IPM) involves the use of several different strategies and the judicious use of pesticides for management of diseases and other pests of the crops. 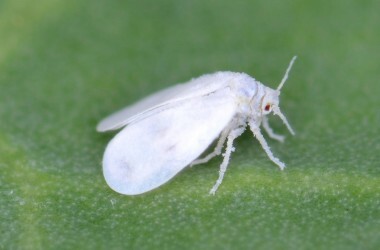 The most beneficial and economical control of diseases and insect pests may be achieved through the IPM as compared to any single management practice, such as the pesticide application. The weed and insect management are also important components of disease control in an IPM system, because infection and spread of some pathogens is associated with the presence of certain weeds (alternate hosts) and insects (vectors). However, the disease management strategies, effective components of an IPM system, are given below with the hope that the growers will adopt these for the benefit of all because chemicals applied for the control of diseases and insect pests are equally poisonous for all living things and is a major source of environmental pollution. Their effectiveness in controlling specific diseases could be learnt through regular study and observation. Crop rotation: The fungi, bacteria, and nematodes cause soil and seed borne as well as foliar diseases. These pathogens may survive from season to season in the soil or on seeds and other crop debris in soil and build up to damaging levels with repeated cropping therefore 3-4 year rotation with non-host crops is recommended. Site selection: Most crops are best grown on sandy loam, sand, or silt loam soils with a pH of 6 to 7. Growth on acid and/or poorly drained soils often results in increased incidence of Fusarium wilt, fruit rots and some other diseases. Therefore, maintaining records of the disease history of fields is beneficial for avoiding disease problems or implementing preventive measures. In such a situation, late plantings are not situated near early plantings where a disease already exists. Sanitation: Several destructive diseases of various crops can be spread from infested fields to clean fields in soil and crop debris carried on equipment and workers. Therefore, the equipments and boots should be washed to remove all clinging soil and debris when leaving the infested fields. Clean fields can also be worked before entering the infested fields. Variety selection: Resistance is the most effective and economical means of disease control. Therefore, available disease resistant varieties should be planted where possible. Soil fumigation: Soil fumigation is expensive and potentially dangerous for inexperienced applicators, but increases yields, earliness, and controls soil borne diseases. However, row fumigation may be economically feasible mostly for vegetables. Planting time: The planting time may favour or may not the multiplication of disease inciting organisms. Therefore, change in planting time is recommended in various cases. For example, cultivation of early sowing and early maturing varieties are recommended for the control of rust in wheat. Disease-free seed and seedlings: Some diseases may be seed borne or introduced in fields on infected seedlings (transplants). Efforts should be made to obtain disease-free seed and transplants. Seed dressing fungicides are found effective in minimizing the potential for seed borne diseases caused by fungi and to help assure establishment of an adequate stand. Only healthy or treated seed and seedlings should be used to initiate plantings. Weed control: Mostly the weeds serve as alternate hosts or sources of infection for virus diseases. 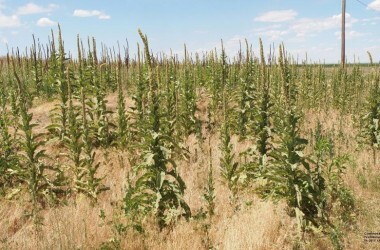 Therefore, effective weed control practices should be utilized in and around the crops. Insect control: The insects are major source to transmit virus and bacterial diseases. Therefore, insects must be controlled when warranted in and around the crops. Irrigation: Excessive irrigation or frequent irrigation with small amounts of water as well as shortage of irrigation (drought conditions, due to long irrigation intervals) favours spread and development of many diseases. Therefore, the crops should be irrigated properly. Fertilizers: Heavy doses of nitrogenous fertilizers may maximize but judicious use of potassic fertilizer helps in minimizing the susceptibility of plants. Therefore, proper use of fertilizers is recommended. Chemical control: Fungicides protect healthy plants from infection, but do not cure diseased plants. These are needed for effective management of some foliar diseases caused by fungi. Copper sprays are also useful in reducing foliar diseases caused by bacteria. The diseases are more difficult to control once established; hence timing of the first spray is critical. The first spray should be made before symptoms appear where diseases are anticipated or shortly after symptom appearance. Moreover, an adequate spray volume is needed to achieve thorough coverage of infected plant or tree. Thereafter, an approved schedule should be maintained. Sprays should also be applied before an anticipated rain event rather than after because this affords protection during periods favourable for infection. Most soil borne diseases cannot be controlled by foliar fungicide application, but drenching may be found useful in such condition. Scouting: Scouting allows for early detection of all pests and diseases so that timely management practices can be implemented. Plantings should be scouted regularly (at least once per week), for assessment of the effectiveness of management programs already implemented. Residue management: Many of the pathogens survives in and on the plant debris or pruned parts of plants or trees, therefore theses should be incorporated into the soil by ploughing or disking after harvest to hasten decomposition.